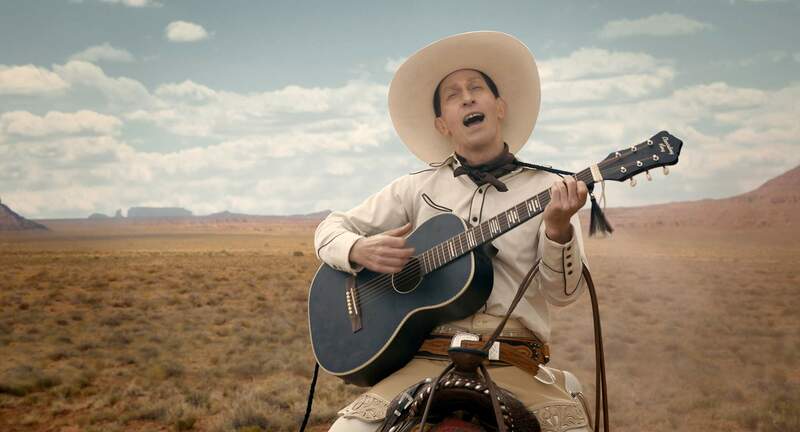 In the Coen brothers’ brilliant new film “The Ballad of Buster Scruggs,” an existential Western told in six unrelated chapters, the cowboy clichés pile up quickly, like the film’s body count. A gunslinger, a bank robber, a prospector, a trapper, a gal in search of a good man all commingle with so many other saddle-worn tropes of the oater genre – the hangin’ tree, the saloon, the wagon train, the stagecoach and the ubiquitous, “Westworld”-style town that populates our collective imagination of the American West – that the film at first feels like a cartoon. In fact, its first chapter, the shortest of the film’s half-dozen vignettes, and the one that lends “Ballad” its title, is a kind of cowboy comic book. 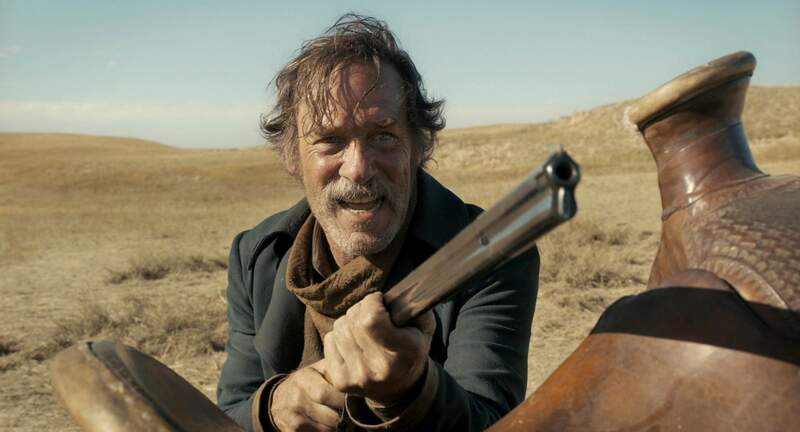 Starring Tim Blake Nelson as the titular Buster, a traveling singer and gunslinger who dispatches those who cross him in spectacularly exaggerated style, this short take on the genre is both funny and morbid as heck, signaling the Coens’ intention to chew on the theme of human mortality like a cowpoke nurses his chawin’ tobacky. That single-minded focus continues in the next installment, in which James Franco plays a bank robber who has been sentenced to death by hanging. Depending on how you look at things, he’s either the luckiest or unluckiest man in the world, as his execution goes (darkly) comically awry. But by the time Chapter Two has gotten underway, it’s clear that the Coens’ aim is something more than laughter. Grainger Hines plays the Sam Elliottesque Mr. Arthur. Called “Meal Ticket,” the film’s third episode stars Liam Neeson and Harry Melling as itinerant entertainers touring the Western settlements. Their act consists of Melling’s character – a quadruple amputee known as Harrison the Wingless Thrush, who cannot feed, bathe or relieve himself without the assistance of Neeson’s Impresario – reciting verse and oratory, including snippets of Shakespeare, Shelley and the Gettysburg Address. It is here, in this O. Henryesque tale, that the Coens find their true voice or, rather, the true voice of this anthology, which is ultimately much more dark, and satisfying, than comedy. If that’s your definition of entertainment – and blissfully, it is mine – “Ballad” paints a deliciously dismal portrait of the human condition. Other less familiar faces who shine include Grainger Hines – a spiritual cousin to Sam Elliott – opposite Kazan, and Jonjo O’Neill as Gleeson’s bounty-hunting partner. 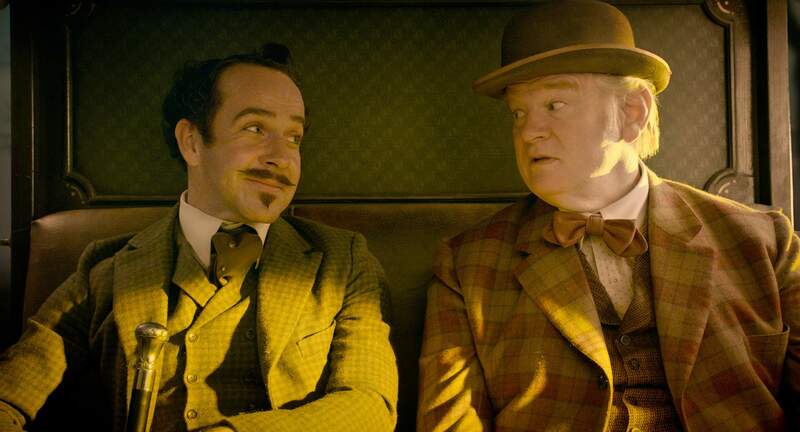 It is O’Neill who pretty much steals the show, or at least wraps it up nicely with a ghoulish little bow, in the film’s final chapter, “The Mortal Remains.” The longest and best of the film’s segments, “Remains” situates O’Neill’s dapper Englishman in a stagecoach filled with four other strangers, all under a roof that is also carrying the corpse of an outlaw. As the coach hurtles through the advancing darkness, he regales his fellow travelers with a creepy tale, one that functions as a sort of ghost story (or one that lands with something approaching the force of a shivery campfire yarn). “The Mortal Remains” brings all these tales together beautifully, by which I mean in a coda that is somber and hauntingly unsettled, like the last note of a dirge. Its music lingers in the air long after the closing credits.